The Blooming Masterpiece Rose Bouquet is a classic expression of love and sweet affection! 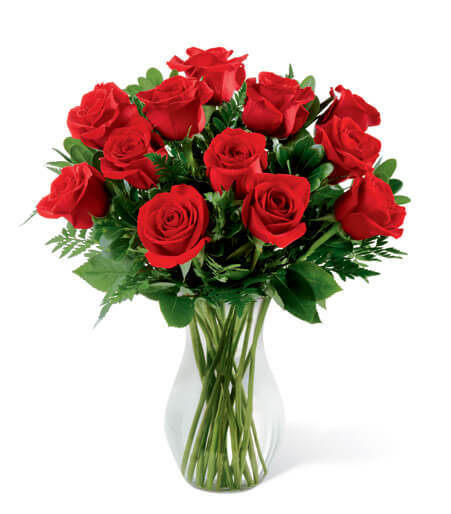 A dozen red roses arrive accented with lush greens, all beautifully arranged in a clear glass vase. Approximately 17"H x 14"W.